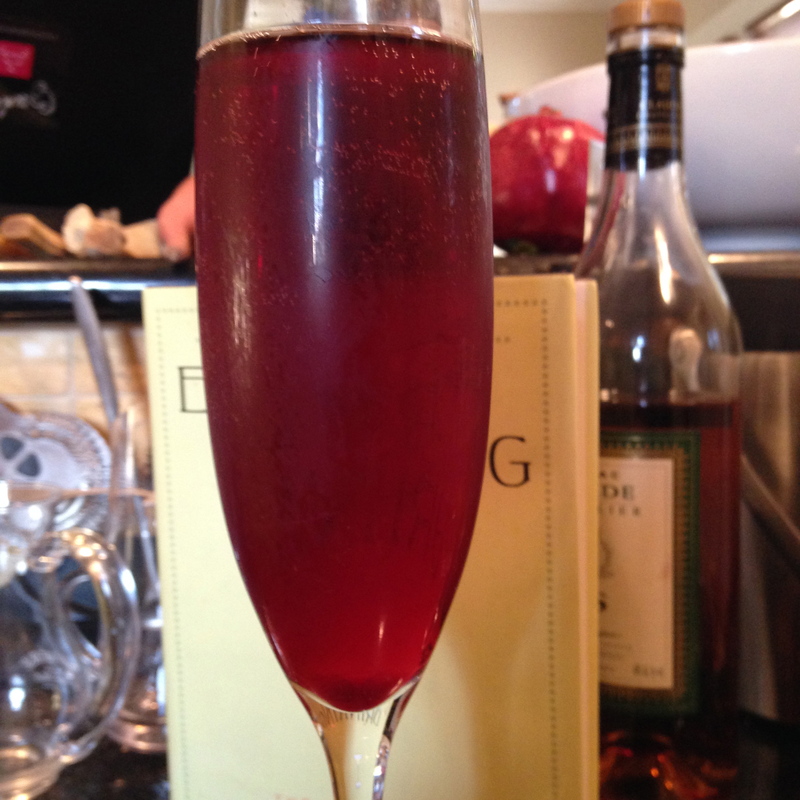 Reconstructing Thanksgiving with a Kir Normand. Well, it’s been awhile since Thanksgiving, and in the last post I left everything hanging on the preparations; however, with the semester over, oral exams finished, and only the tabulation of judgment left, I can take some time to turn back the clock and review the gastronomic event that was November 27, 2014. I’ll narrate all of this over a few posts, so with this one I want to highlight the cocktails we had, supplied by Natalie and Pierre Charron–the Kir Normand. Like a page out of James Salter’s Light Years, Natalie and Pierre arrived at our front door at four in the afternoon, cocktail hour of course. “Here’s a gift,” Peter said. “That’s a beautiful drive,” Peter said, smoothing his clothes. Natalie and Pierre enter the house bearing cassis, cognac and cider. Qu’est-ce que ce est ? The makings for a Kir Normande, of course. 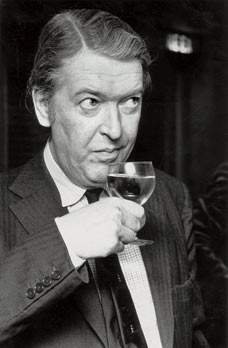 First off, Kir–this is what Kingsley Amis has to say in Everyday Drinking. A development that’s catching on, while not my kind of thing, is nevertheless worth a try. This is the mixture known as Kir (rhymes with beer)–about six parts dry white wine to one part crème de cassis or blackcurrant liqueur. The cunning French have recently brought out a pre-mixed version. Good for those who fancy a not-too-strong, not-too-dry refresher. Some people moisten the rims of the glasses and twirl them in castor sugar before hand. 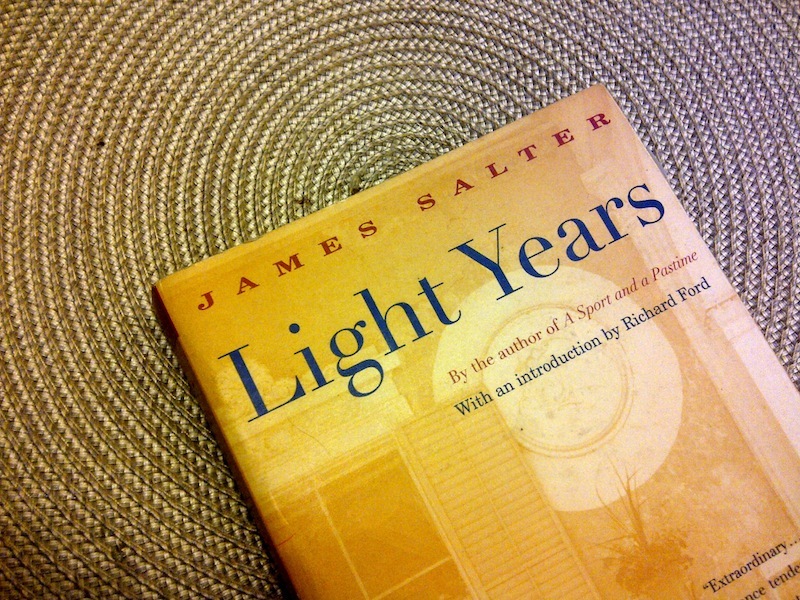 To read Everyday Drinking is to sit down with the man himself, stare into a martini, and wax and wane with the falling afternoon light. But back to Kir, apparently this aperitif is named after Félix Kir a French catholic priest active in the French Resistance during WWII, led an escape of prisoners at Longvic, received a knighthood in the Légion d’honneur, and was mayor of Dijon until his death in 1968. 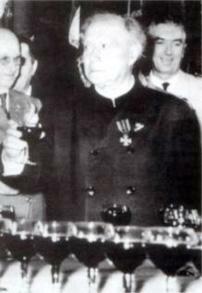 He famously served the Kir to various delegations visiting him in Dijon. A number of variations exist such as Kir Berrichon – from the Berry region of France, made with red wine and blackberry liqueur (Crème de mûres), Kir Pamplemousse, made with red grapefruit liqueur and sparkling white wine, and a few with cider as with the Kir Normand. So here is the recipe as delivered by Pierre who told me he and Natalie would drink this every day with his family in Bernay, Normandy. 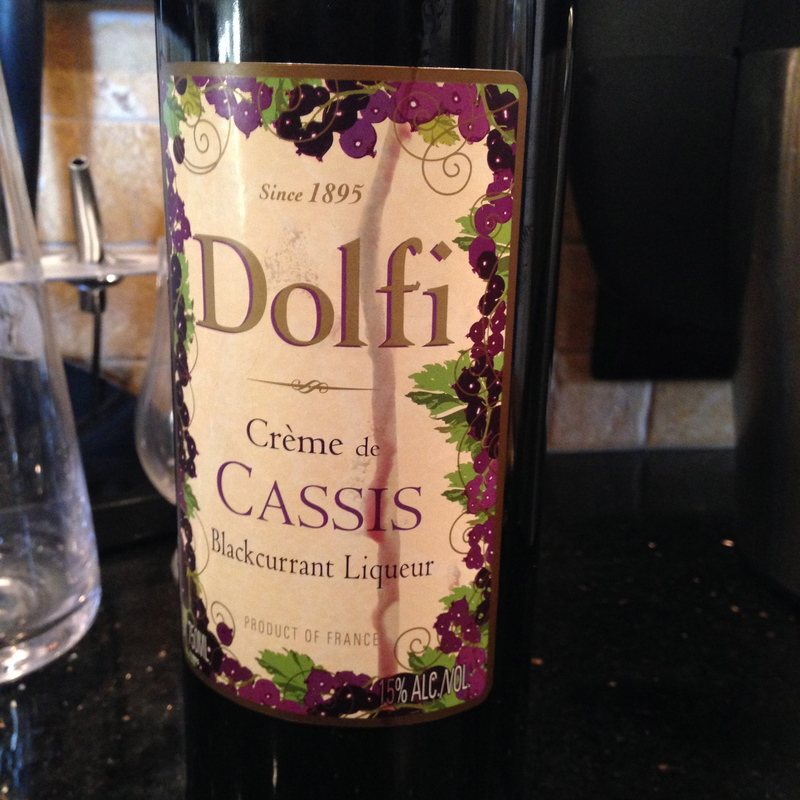 First, an ounce of crème de cassis. 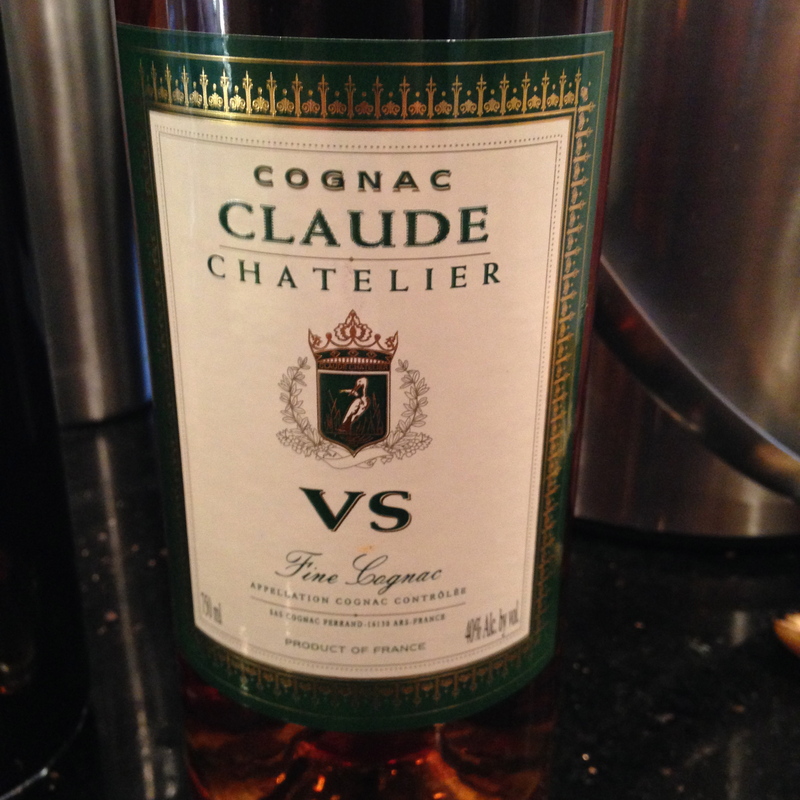 Then an ounce of cognac. And finally, fill the champagne glass with cider. 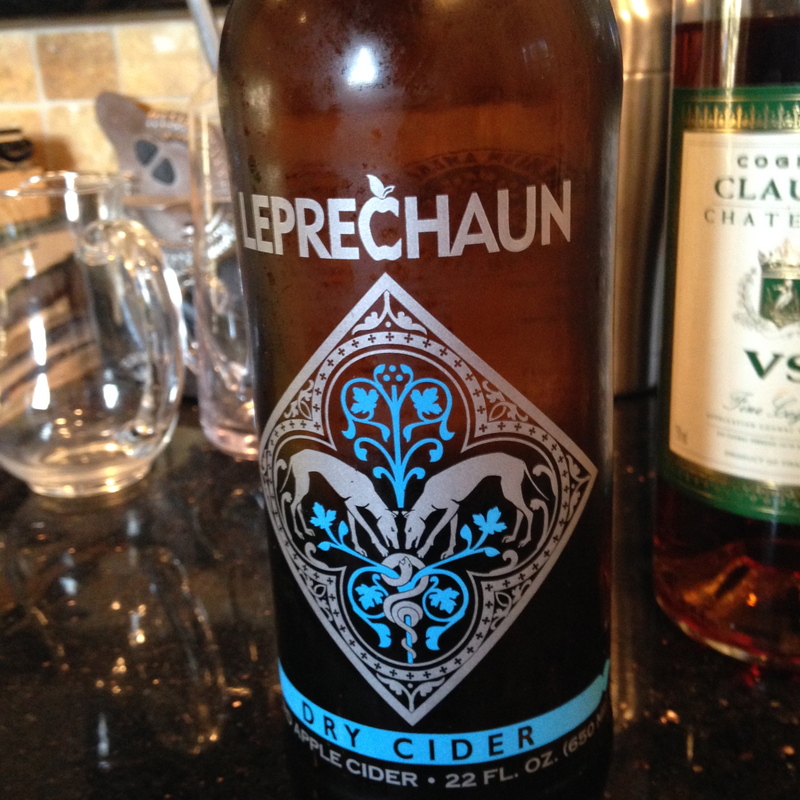 I prefer Leprechaun Dry Cider out of Houston, Texas. Next Next post: The Philosophy of Polenta as I Whisk with Napoléon, Rousseau, Sebald and Aurelius.